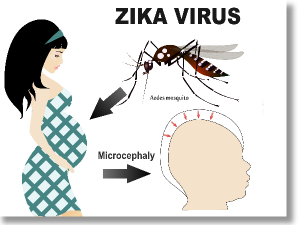 Zika virus has been linked to a serious birth defect of the brain called microcephaly, as well as absent or poorly developed brain structures, defects of the eye, hearing deficits, and impaired growth. The CDC recommends special precautions for pregnant women, including not traveling to areas with Zika. For peace of mind during pregnancy, the Center for Medical Genetics now offers Zika screenings. Zika can be transmitted via mosquito bite, sexual contact with someone who has been bitten, or blood transfusion. There is currently no vaccine or treatment so getting tested early is key. 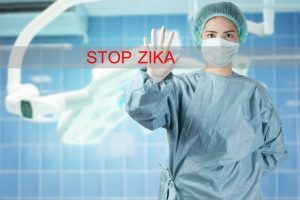 Zika has arrived in the United States while most cases originate in Barbados, Bolivia, Brazil, Cape Verde, Colombia, Costa Rica, Curacao, Dominican Republic, Ecuador, El Salvador, French Guiana, Guadeloupe, Guatemala, Guyana, Haiti, Honduras, Jamaica, Martinique, Mexico, Nicaragua, Panama, Paraguay, Puerto Rico, St. Marin, Suriname, Somoa, Tonga, the U.S. Virgin Islands and Venezuela. You can be tested before giving birth to find out if you and/or your child has the virus. A simple blood test is done as well as ultrasounds tracking your baby’s progress. Contact one of our four convenient locations to see about getting your Zika Screening. The screening includes a blood test as well as 1-3 ultrasounds to monitor your baby’s progress.